This is just a short post, trying to get things done for my Open House coming up so I am super busy. I am so love'n Carleton Place. Not only do we pretty well have everything we need locally we even have this fantastic scrap booking store called Scraptease see here. During one of my visits I found this fantastic paper that I feel in love with called Earth Love and the Boyfriend by Cosmo Cricket. 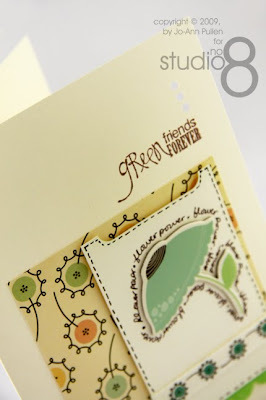 I so love the colours they are so soft and muted and the style of this paper reminds me of when I was a kid. 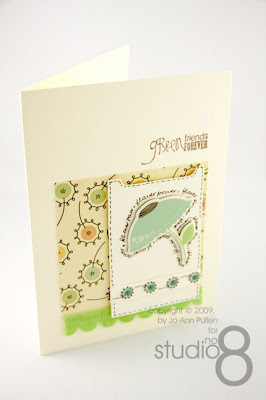 It's so cute and very funky I just had to make a card or two. Anyway enjoy and get inspired! Have great Sunday!